This luxury gift set comes in a green box printed with vintage drawings of pacific islands. 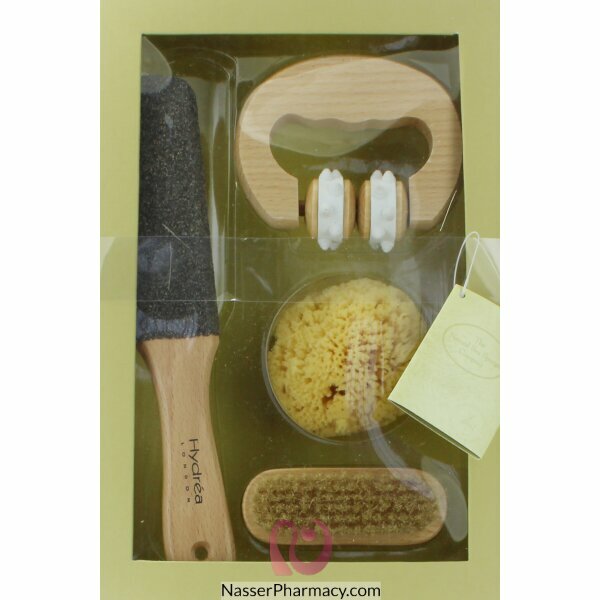 It includes four items: A wooden stress spot Massager (to ease muscle fatigue), a natural pumice foot file (for dry and hard skin removal), a natural sea sponge (from the mediterranean) and a Nail Brush (for exfoliating and cleaning the hands to improve circulation). This beauty gift set is a perfect treat for anyone who loves taking care of themselves.